After welcoming defensive end Melvin Ingram to San Diego, the Chargers continue to upgrade their defense by adding two more potential play makers to the roster. 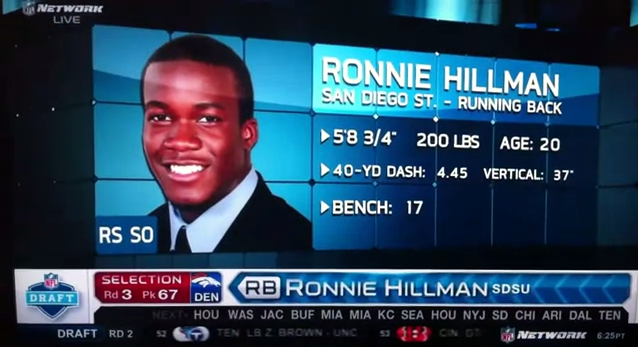 In the mist of all the madness, the Denver Broncos traded up 20 spots to get San Diego State's Ronnie Hillman. 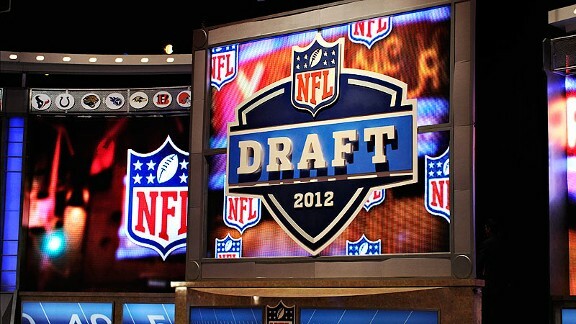 Reyes can play all over, but is he nasty enough to flourish in NFL? 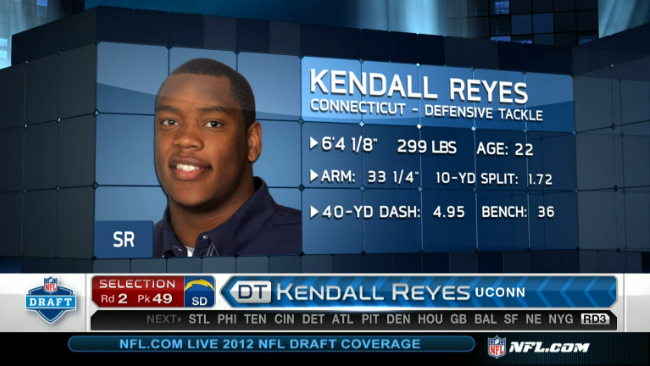 Reyes was a monster defensive tackle at Connecticut, but he will most likely compete for a starting spot at defensive end. Former Aztecs defensive back John Fox was not going to pass up an opportunity to coach the star of his alma mater. Hillman will most likely back-up Willis McGahee who had a great season in 2011 but is getting up there in age. Expect him to start his career as a 3rd down back and possibly make a name for himself as a returner. He should be competing for the starting job going into his second season. The Chargers have been searching for a hard hitting enforcer at strong safety since they released Rodney Harrison after the 2002 season. Nearly a decade later they might have found one in Brandon Taylor. He's known to be a physical player who is not afraid to throw his body at the ball carrier. He will battle Atari Bigby for the starting strong safety job during camp.